What Makes Us Better Than The Big Guys? - BEST WEBSITES! 1. BEST WEBSITES would love to have your business, and keep it, so we go above and beyond to make sure you're happy with all of the services we provide. 2. When you contact a big business you never know who you'll be talking to, and if the second person you speak to will know all the information that you just gave to the first person. With us, you will always correspond with Mary, unless it is regarding a complicated coding issue, in which case Jeff will step in. We are available 7 days a week! 3. Our prices are the BEST you will find, our services exceed all others, our support is exceptional, and most importantly, we strive to give YOU as much control over YOUR website as you wish to have. 4. We can make all of your changes with a simple email request, or we can teach you how to make your own changes, if you prefer. 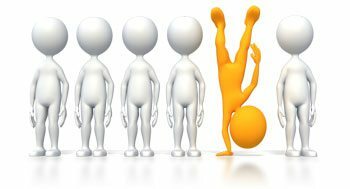 If you need it, we can create a manual, specifically for your website, to teach you how to make your own changes or additions. Either way, our tech support is unlimited. You can make as many changes and updates to the site as you wish, with no added charges. To summarize, we offer peace of mind. Your website will be created as you want it, changed when you want it changed, and it will be maintained - software updates as needed, regular backups, sitemap creation, regular submission to Search Engines, and it will be monitored 24/7 to assure vigilant security. 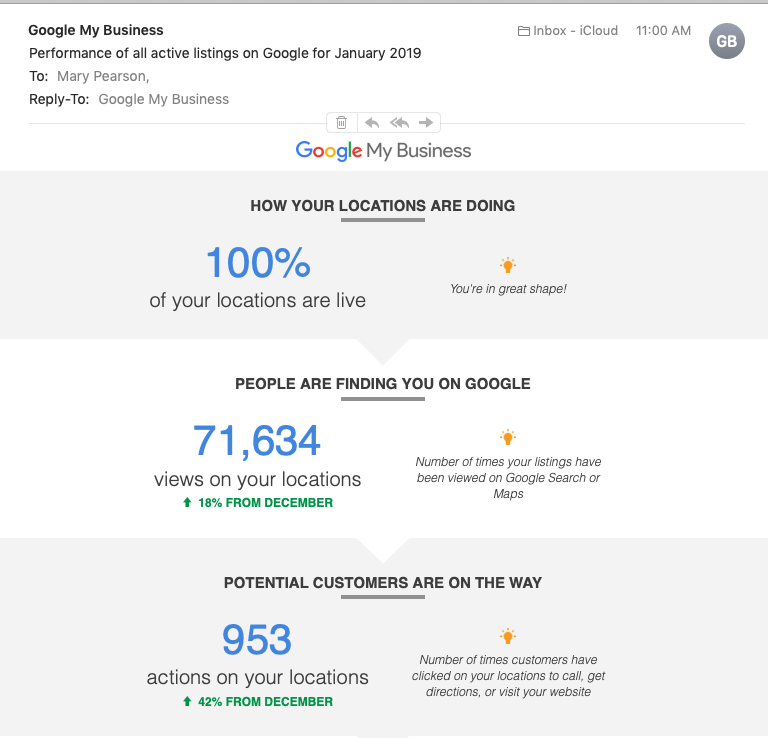 If you are wondering if our websites are effective, this is the latest Google My Business report (January 2019) for all of our websites.